This list starts 5 movies earlier, so make sure to read Part 1 first! The plot seemed like a good ol’-fashioned action movie. Cory found a bunch of bikes with crystal meth hidden in their fuel tanks. Those bikes belong to the drug lord, Henry. Wait! “Henry”? A drug lord? Why can’t he be “Snake” or “Poison” or “Blade” or just about anything more sinister? Anyway, Henry kills Junior, the brother of Trey, who’s the boss of a bada$$ biker gang called The Reapers, and framed Cory. So, now Cory is being chased by The Reapers and FBI. Doesn’t sound so bad. Right? Watch this battle scene between Cory’s squeeze and another female biker. Are we seeing motorcycles or a lion dance? We had high hopes for Hell Ride. It was produced by the Quentin Tarantino, after all. It also starred the late-Dennis Hopper, late-David Carradine, Michael Madsen and Vinnie Jones. 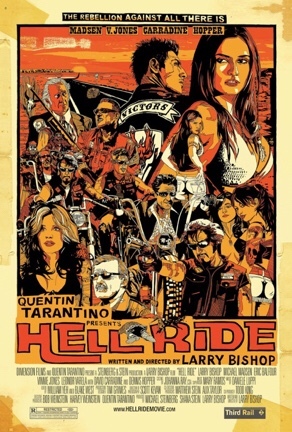 Director Larry Bishop, who acted in the film as the protagonist, had wanted to create a gritty revenge tale as an homage to the classic biker gang films, but ended up creating a convoluted droll, complete with clichéd dialogue and senseless violence. Come to think of it, he should deserve some credit because those classic biker gang films were like that! Hell Ride currently rides a 10% approval rating on Rotten Tomatoes. 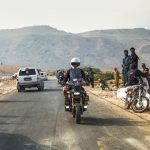 Which of these motorcycling myths do you believe? The first film starred Nicholas Cage, Eva Mendes, Sam Elliot and Peter Fonda. What plot? It was gloomy, blundering and muddled. Fans of the franchise (including this writer) came away disillusioned. The only good thing about the movie was Eva Mendes. Cage picked a nomination for the Golden Raspberry Award for the Worst Actor. However, the first movie grossed US$228.7 million against a US$110 million budget, no doubt on the back of eager fanboys. 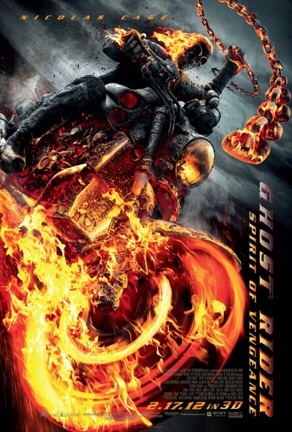 It prompted the studio to spawn an even hellish (pun intended) sequel called Ghost Rider: The Spirit of Vengeance. You’d think they’d improve the sequel, but it was riddled with ludicrous CGI and even worse acting. This time, Cage won the Raspberry Award for the Worst Actor, while the film took the (dis)honour for the Raspberry Award for Worst Remake, Rip-off or Sequel. True, the Dhoom movie franchise is entertaining. Packed with over-the-top stunts, races, acrobatics, gadgets, explosions, chases, hot chicks, music, cool bikes, and more hot chicks. But it’s insulting when it involves motorcycles. How does a bike brake from 100 to 0 km/h immediately? And doing so without throwing the rider and everything on the bike off? What? Newton’s laws of motion don’t apply to movie motorcycles? Or how about riding at speeds above 200 km/h while sitting straight up, no helmet, no gloves with just a pair of Ray-Ban Aviators and brooding expression? Or coming out without a single scratch on the bike and riding gear after sliding the bike under a trailer? Maybe the makers know that realism will kill the heroes. We mentioned that this list is arranged chronologically but we have saved the worst for last. 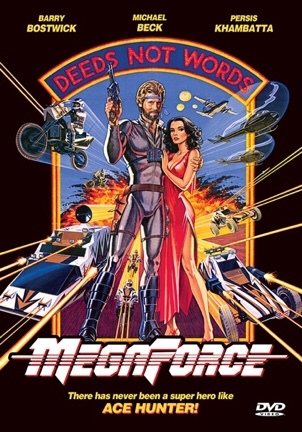 The 8s was full of tacky movies, but Megaforce belongs in the “it’s so bad it’s truly bad” category. It even made Hong Kong movies of the era look like Avatar now. Megaforce follows the story of a crack military team which is called upon to save democracy of a small nation. But Act of Valor, it ain’t. The movie holds a 0% approval rating in Rotten Tomatoes. Nice 80s metal theme song, though. 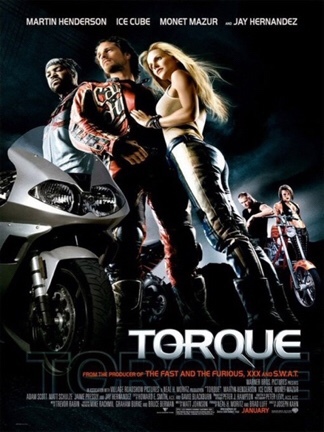 Let us know your vote for worst motorcycle movie of all time. Gusto mo ba ng sariling TV monitors at banyo sa bus na sinasakyan mo?